Chinese students have to acquire a private health insurance before travelling to Portugal. This insurance will give them access to the Portuguese private medical practice services with which the insurance company has an agreement. After arrival, to benefit from public medical assistance, students have to register in the health centre ("centro de saúde") of their area of residence in Coimbra. Specific medical assistance certificates, the residence permit issued by the Foreign Office (for stays longer than one year) and the identification document are needed for the registration. 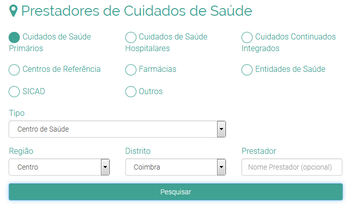 After registering, students staying longer than one year receive a health service user number (“número de utente”), which gives them access to the medical services of the Portuguese National Health Service (SNS), under the same conditions as the Portuguese citizens in Portugal. For instance, they will pay the same amounts, legally in force, for the provided health services. Students with private health insurance documents have to proceed in the same way, but they will be subject to the payment of amounts different than the ones applied to students covered by the SNS, according to the law in force.